As we delve further and further into a technology focused world, the way that we plan business strategies evolves at great pace. The number of business that don’t have a website or any other online presence is shrinking as more people discover how important the internet has become for sales and advertising services. There will of course be some businesses that can survive on repeat customers or word of mouth but the majority of businesses simply must have a digital marketing strategy to survive. If you are a startup business or a business owner that has seen declining sales due to lack of online marketing, then you may not know where to start. For some, the internet and technology is an area they haven’t had to venture too far into but if you are reading this then you have probably realised that you now have to. Ask yourself what type of marketing will appeal to them the most? Are they likely to be Facebook users? Maybe they use LinkedIn or Twitter. Do a bit of research if you can to try and get this information before you start. What do they want to find out about or what information will be useful to them? By developing a strategy with measurable objectives for your social media marketing, you are able to track progress and keep up with dates etc. If you start out just thinking ‘I’ll send a tweet out every day’ the chances are that you will forget when you get busy. Having objectives will make you analyse the way you are doing things. So say you set yourself a target of getting 100 followers in your first month and add a further 100 each month after that for the first year. Say you hit your target each time for the first 3 months and then you fall short. You can compare what you did in the previous months and why it hasn’t worked out then adapt your strategy. Take some time to analyse what your competitors are doing in terms of their social media strategy. You couldn’t usually get hold of a business strategy from a competitor but the beauty of social media is it is in the public domain. Your can check their Facebook page, Twitter content, Instagram posts, LinkedIn etc. very easily. This might give you some ideas to work with or you may think their approach is completely wrong, either way it is good to know what they are doing and you will be able to compare it to your own. So if their posts are getting shared 100 times and yours is only getting 20, you can try and work out what they are doing that you are not. A content plan with set dates will get better results than spontaneously sending content out. Of course there will be times where you are reacting to an event or there is something highly topical that pops up out of the blue but a lot of content can be planned in advance. Identifying the key times of year like the pre-Christmas promotion and other dates around the calendar will help to plan relevant content and stick to dates. Facebook, Twitter, Instagram… social media platforms have popped up all over the place in the last decade. What started off as little more than a student’s dream has become a worldwide phenomenon not to mention a critical aspect of the business world. Parents may complain about how much time their kids spend on their smartphone accessing social media but nobody can ignore the many benefits that such platforms have brought us. If you are a business owner or a marketing specialist then the chances are very high that you actively use social media to generate new business. Whether you are promoting your products or sharing testimonials about your services, social media is a powerful channel and the real beauty is that you can set up a page for your business for free. So, there is no need to throw thousands into your online marketing strategy if you know enough about how to use social media effectively. Building networks of any kind is a great way to share information or to get feedback or ideas from your targeted customers. 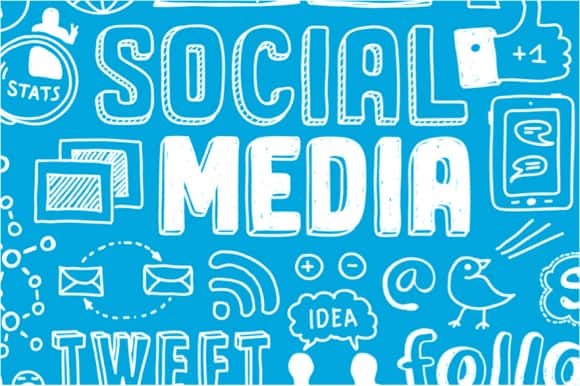 Social media networks take networking to a whole new level, within a matter of seconds a post can go viral with thousand or even millions of people becoming aware of your brand or discussing it online. So there are lots of positives to take from using social media but it isn’t as easy as just setting up a profile and posting off the cuff content. Whilst the odd person may have seen success without spending time to plan out their social media strategy, not many successful businesses would take that approach. When it comes to marketing, a robust strategy is more likely to get high success rates. You need to think about how you want to communicate as a brand. Develop an identity that is consistent with how it is used across the various platforms. Plan your content, your frequency and most importantly set up targets that you measure your progress against. The most crucial part of all is to understand who you are targeting. Who do you want to promote your product to? Does your product appeal to a certain demographic? What is the best channel to communicate with them? Do they belong to groups or forums that you can find them through? Listening to your audience can be more effective that writing posts, encourage discussions and always reply to any comments. Social media is a great way to gauge opinions without the need to pester people into completing surveys. If your product isn’t great or there is appetite for a similar but slightly different product you can use this information to make improvements. Knowing what people want is key in business and people often assume what their target customer base want but they are not always right! People don’t want to read or watch the same kind of content over and over. To keep your audience interested you need to be creative and don’t get into the mind-set of ‘that worked, so I’ll just keep doing that over and over again’. We live in a fast paced world and trends change quickly, so keep up to date with social media trends and the hot topics that are relevant to your business to base your content around. Don’t be afraid to try new ideas to help to keep your content fresh.